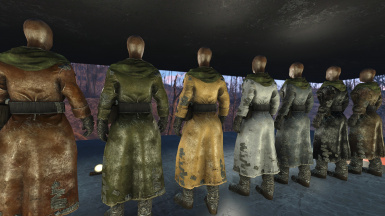 Adds several new color options for the Leather Coat and Traveling Leather Coat. 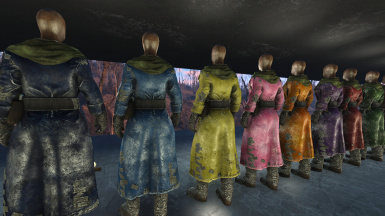 Adds Several new colors to the Vanilla Leather Coat Clothing item. 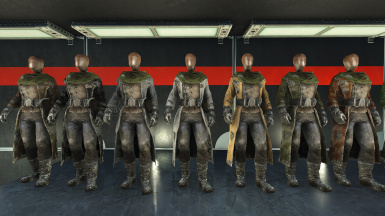 Works for both "Leather Coat" and Traveling Leather Coat" variants. 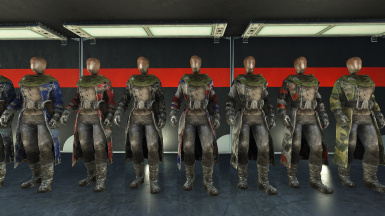 Craftable with AWKCR Color swap framework at the Armor Workbench. 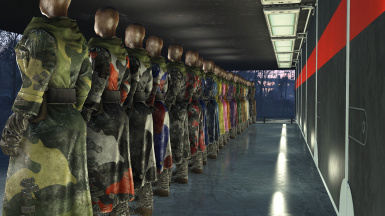 Total of 21 new Color/Camo options. 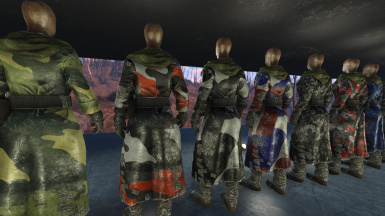 New color options are also added to Modcol so they will spawn in the world. 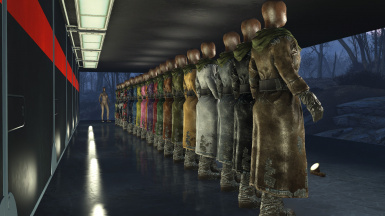 Past player level 10 there is a 11.111% chance of spawning in a random "Colored" option and 11.111% chance of spawning in a random "Camo" option with 77.777% chance of spawning in either Vanilla or "Mil-Spec" color. 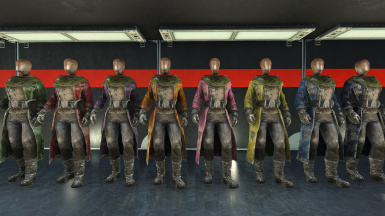 So the more vibrant colors are much more rare, but all can be crafted with 1 Leather and 1 Oil at Armor Workbench.